If you get pulled over for DUI in Georgia, are you required to comply with an officer’s request for a blood, breath, or urine test? What if you refuse? Like all states, Georgia has what are known as “implied consent” laws. These laws are based on the idea that, by driving on Georgia roads, you have agreed in advance to take a chemical test to detect the presence of alcohol or drugs in your body. You’re required to submit to testing if lawfully arrested for driving under the influence (DUI) or involved in a traffic accident resulting in fatalities or serious injuries (including broken bones, severe burns, or loss of consciousness). The arresting officer selects the kind of test to be performed—typically, a blood, breath, or urine test. Tests of “other bodily substances,” such as saliva, are also an option but aren’t commonly used. No matter what kind of test the officer selects, it must be performed in the manner required by law using designated machines and methods. For example, only certain medical professionals can draw blood, so blood tests are usually done at a hospital. If you’re arrested for DUI, the officer is supposed to read or recite Georgia’s “implied consent notice.” This notice informs you of the requirement to submit to testing, the penalties for refusal, and the right to request an independent test. The officer is then required to ask whether you will submit to the chemical test designated by the officer. Generally, an officer’s failure to give the implied consent notice will make the test results inadmissible in criminal court. Such a failure on the part of the officer will also prevent the Georgia Department of Driver Services (DDS) from administratively suspending the driver’s license based on the results of or the driver’s refusal to take the test. However, an adequate implied consent notice doesn’t automatically make the results of the test admissible in a criminal trial. In Williams v. State, 296 Ga. 817 (2015), the Georgia Supreme Court held that the Fourth Amendment’s restriction against unreasonable searches and seizures applied to blood draws obtained without a warrant under the implied consent law. For a search or seizure to be reasonable based on consent, such consent must have been voluntarily given. The Williams decision requires courts to examine all of the circumstances—including the implied consent notice—to determine whether a driver who said “yes” to the test did so voluntarily, without threats or coercion. Drivers who submit to chemical testing have the right to request an independent test at their own expense from qualified personnel of their choosing. The independent test doesn’t have to match the officer’s test. In other words, you can request a blood test even though the officer had you take a breath test. However, drivers who refuse the test selected by the officer forfeit the right to an independent test. your opportunity and ability to make arrangements for the testing. You have the right to refuse to take a DUI chemical test (unless the officer obtains a search warrant, making implied consent no longer applicable to your case). But the fact that you refused can and usually will be used against you in criminal court: the prosecutors will likely argue your refusal indicates you had something to hide. Refusing a chemical test will also lead to harsh administrative consequences. The Georgia DDS will suspend your license for one year with no limited driving permit available. 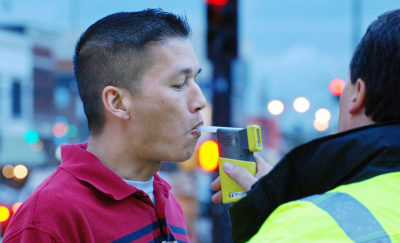 The implied consent law is designed to encourage those arrested for DUI to take the chemical test. The law does this by imposing a mandatory one-year license suspension for a refusal. While declining an officer’s request to take a chemical test can result in harsher sanctions than you’d otherwise be facing, there might also be circumstances where refusal is in your best interest. Unlike in some states, Georgia law doesn’t give drivers the right to consult with an attorney prior to deciding whether to take a chemical test. Georgia courts have consistently held that being asked to decide whether to take the chemical test is not a critical stage of criminal proceedings where the right to counsel is absolute. Since you can’t consult an attorney when deciding whether to take a DUI chemical test, you may want to discuss your case with one as soon as possible after arrest. DUI law is complicated and the facts of every case are different. An experienced DUI/DWI defense attorney can help you identify weaknesses in the state’s case and any defenses you may have. Georgia law requires you to submit to state administered chemical tests of your blood, breath, urine, or other bodily substances for the purpose of determining if you are under the influence of alcohol or drugs. If you refuse this testing, your Georgia driver’s license or privilege to drive on the highways of this state will be suspended for a minimum period of one year. Your refusal to submit to the required testing may be offered into evidence against you at trial. If you submit to testing and the results indicate an alcohol concentration of 0.08 grams or more, your Georgia driver’s license or privilege to drive on the highways of this state may be suspended for a minimum period of one year. After first submitting to the required state tests, you are entitled to additional chemical tests of your blood, breath, urine, or other bodily substances at your own expense and from qualified personnel of your own choosing. Will you submit to the state administered chemical tests of your ( designate which tests ) under the implied consent law?